If you make and sell hobby and craft products you will probably have used sticky labels before, but have you used them to their greatest effect? Here we’ve put together a list of five creative ways to make sticky labels work better for you. 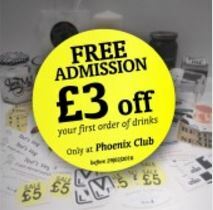 As sticky labels can be peeled off or cut out, it gives you the perfect opportunity to use them for discounts. Simply add the words, ‘10% off your next purchase with this label’ at the bottom. Charities have been using this method to promote themselves for years. These days, schools, doctors and dentists also use sticky labels to reward children. If you sell a craft like face painting that doesn’t have an end product that you can attach the label to, you can always attach it to the buyer instead. An attractively designed sticker can be a very useful advert, particularly if you are selling child-related products. Using sticky labels creatively is a great way to sell more of your craft products, build customer relationships and help turn your hobby into a business. Here at stickylabels.com we make designing your sticky labels very easy indeed. Simply visit our label designer and follow the steps. All you need to do is type out the information you want on the label, choose your font and colours, and then upload any artwork, such as your logo, to our website. Once you’re happy with the design, we’ll print them for you.